Have you been longing to feel the open road and all the freedom it offers? If you’ve been planning on taking a cross-country trip but don’t want to haul too large of a trailer, Ewald Airstream has some excellent news. The new Airstream Nest is here, and it will be sure to make traveling around the country a comfortable and convenient experience. Offering a new twist on an iconic classic, the Airstream Nest’s contemporary design is not only stylish but allow for less wind resistance. 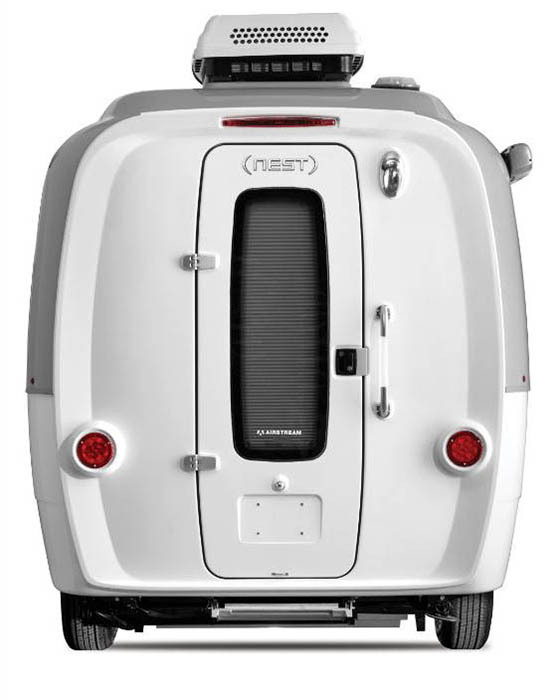 Although these travel trailers sleep as many as the Basecamp, the 2019 Airstream Nest for sale offers more space and amenities. If you’re looking for a small package that provides a great deal of space despite being able to be towed with a mid-size SUV, these travel trailer for sale may be right for you. However, there’s a lot to contemplate when it comes to the Airstream Nest and its price. Below, we’ll list a few things that make these trailer an exceptional option for those wanting to feed their adventurous side. Whether journeying up north into the cold or down south to hit the beaches, controlling your climate can be essential when it comes to comfort. For this reason, the new Airstream Nest offering both heating and air conditioning. The heater within these travel trailer for sale near you also have a hot water heater that will be sure to give you a nice relaxing shower before bed. 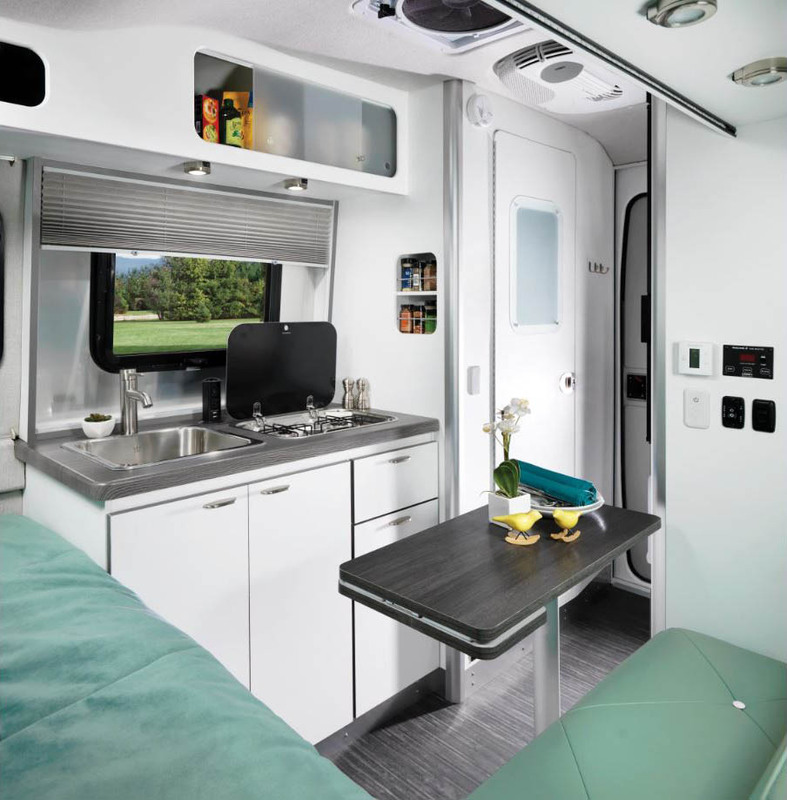 Although the Airstream Nest has kept the iconic retro exterior, you’ll find a completely modern interior. The lighting within the Airstream Nest's interior offers lighting that you can control with Bluetooth right from your phone. You’ll even be able to adjust the color of your lighting allowing you to set the mood when its time to relax. Do you prefer to save money when on the road and cook for yourself? If so you’ll be sure to love the fully-loaded kitchen, offering a refrigerator, icebox, and even a two burner stove! 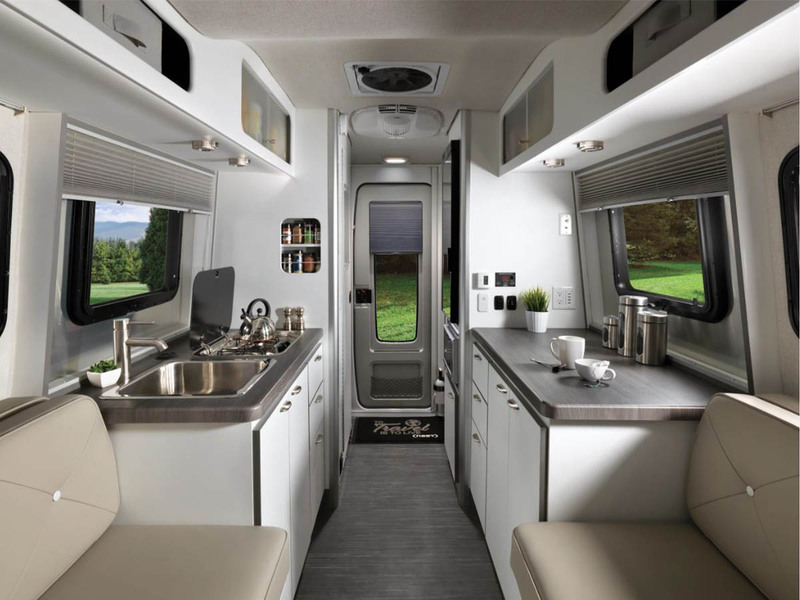 Depending on which floor plan you go with, it may also include a prep table, making it a breeze to a cook a meal in this new Airstream for sale. The Nest also offers a way to power your travel trailer with solar panels thanks to the solar pre-wire kit featured in these travel trailers. However, these small travel trailers also have a sharp and modern interior design with robust yet refined Spradling dolce seating. Aside from this material being both stain-resistant and comfortable, you’ll have the option to personalize the interior colors. Being able to add your own personal touch to the new Airstream Nest allows for comfort, style, and utility. These small travel trailers offer two separate floor plans that have their own advantages. Since both floor plans are the same price, it all boils down to preference and what you’re looking for in a small travel trailer. However, there are still some slight yet distinct differences between the 16FB and 16U floor plans. For example, the 16FB offers a fixed queen sized bed which may be ideal for some. This larger bed may provide less seating, but provides a great deal more room and comfort when trying to catch some sleep. However, the 16U offers a collapsible dining table that you can later put away when you’re finished with your meal. In addition to this, the 16U floor plan means you’ll have a separate prep area, making it a breeze to cook meals no matter how large or small. Aside from these minor differences, the Airstream Nest’s price remains the same and both offer the same comfort and beautiful design. Both designs have the same excellent bathroom and shower, as well as an outdoor shower head for cleaning off bikes and shoes. 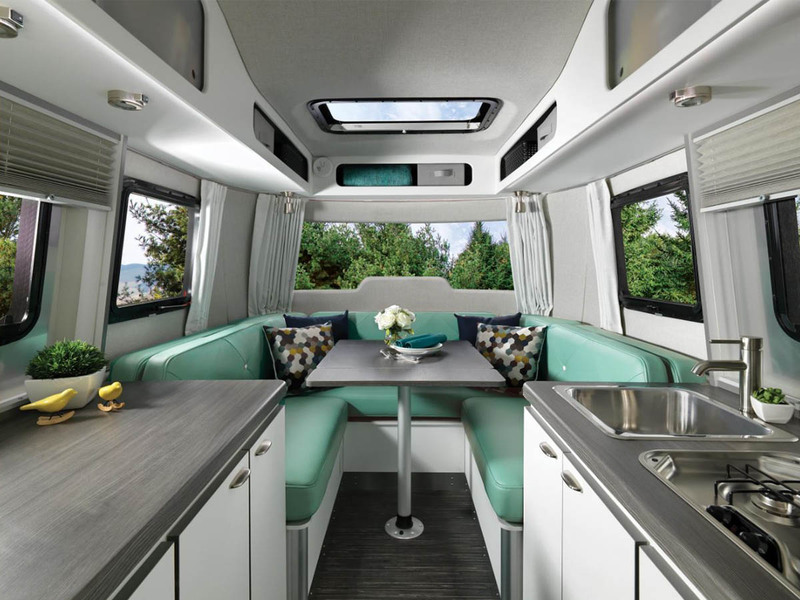 With the sensible layouts that the new Airstream Nest offers, you’ll finally be able to take the road without the need for a large gas guzzling pickup while still having all the comforts you need. 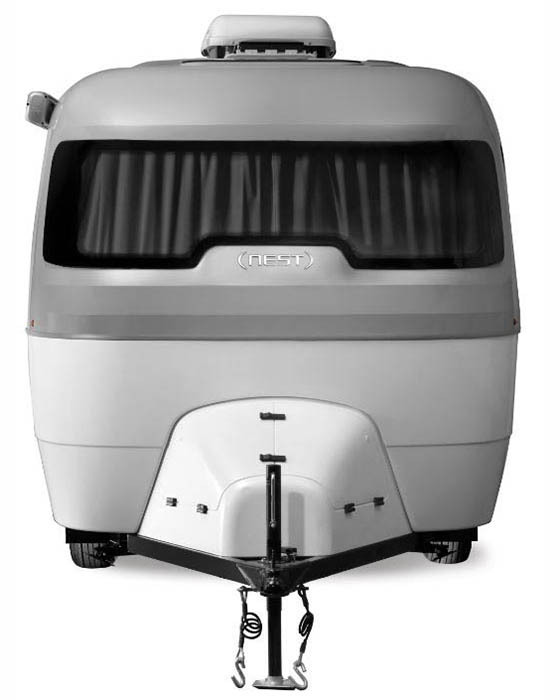 Since these new lightweight travel trailers are both economical and provide plenty of amenities, we expect them to go fast. So be sure to visit Ewald Airstream to check out the new Airstream Nest before they’re all gone! If you think these trailers sound good, just wait until you step inside and see it all for yourself. 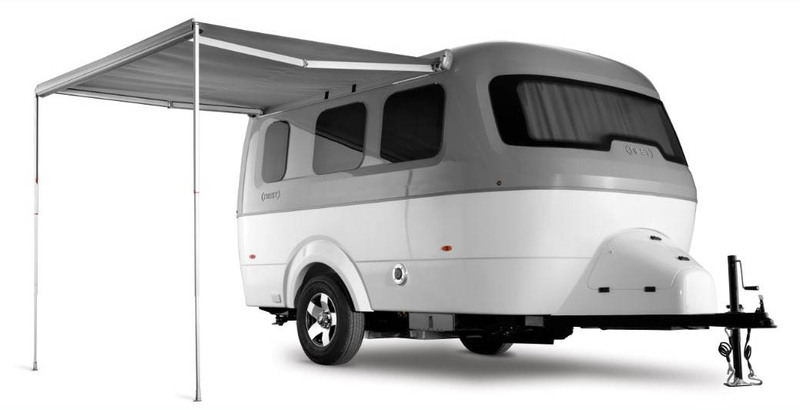 With the Airstream Nest’s price starting at only $45,900, the trailer can be a cost-effective way for you to finally start that road trip you’ve been planning for years. If you’re interested in some of the specs to find out if your vehicle is capable of towing this small travel trailer, we’ll list some important specs below.